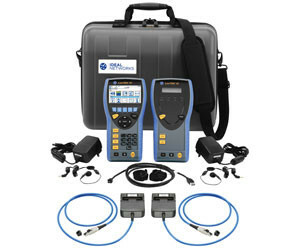 The IDEAL Networks LanTEK III is an easy-to-use cable certifier that meets existing TIA and ISO/IEC performance requirements for testing up to Cat. 7A/1000 MHz. Key features include: certifies twisted pair cabling to TIA/ISO standards; locate hidden connections, splices and cable faults using Time Domain Return Loss (TDRL) and Time Domain Crosstalk (TDX); permanent link adapter saves money with field-replaceable RJ45 contacts; FiberTEK III modules for tier 1 certification of fibre cabling (optional); long battery life — 18 h continuous operation; and test data software for powerful client PDF reports. 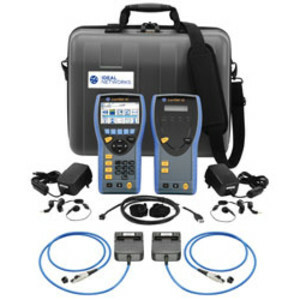 I am interested in IDEAL Networks LanTEK III Cable Certifier .